According to sixteen-year-old Zander Osborne, nowhere is an actual place—and she’s just fine there. But her parents insist that she get out of her head—and her home state—and attend Camp Padua, a summer camp for at-risk teens. Zander does not fit in—or so she thinks. She has only one word for her fellow campers: crazy. In fact, the whole camp population exists somewhere between disaster and diagnosis. There’s her cabinmate Cassie, a self-described manic-depressive-bipolar-anorexic. Grover Cleveland (yes, like the president), a cute but confrontational boy who expects to be schizophrenic someday, odds being what they are. And Bek, a charmingly confounding pathological liar. But amid group “share-apy” sessions and forbidden late-night outings, unlikely friendships form, and as the Michigan summer heats up, the four teens begin to reveal their tragic secrets. 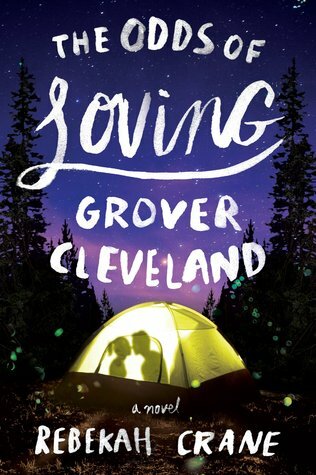 Zander finds herself inextricably drawn to Grover’s earnest charms, and she begins to wonder if she could be happy. But first she must come completely unraveled to have any hope of putting herself back together again. This book tells the story of Zander Osborne, a pretty normal teenager who spend the summer at Camp Padua, a camp for troubled teens. Every kid there has a story - cutting, depression, eating disorder, compulsive lying. But as the book unfolds, we learn more about Zander and her story, which is complex and heartbreaking. This book has everything the perfect YA book should have – a compelling story, deep and complex characters, and a little mystery surrounding the characters and their backgrounds. I loved the eccentricity of the characters and their names - from Grover Cleveland to Alex Trebec. It added a super fun layer to an otherwise serious story. It’s a compelling read. The writing is really good. And the story keeps the pages turning until the very end. Nice to read this review.Thank you so much for sharing this blog.